I’m feeling a little need to rock out coming on as we start into NaNo week two! It’s been a good first week, but I’m looking forward to settling into more of a groove next week. How’s that wordcount coming for you, BTW?!? 😀 Have a great Sunday! farawayeyes said, Gotta love Lenny. Scary video though. I think I know some of those people. Looks like some of the 'basement' parties of my youth. DO Not tell my children, they think Mom is clueless. 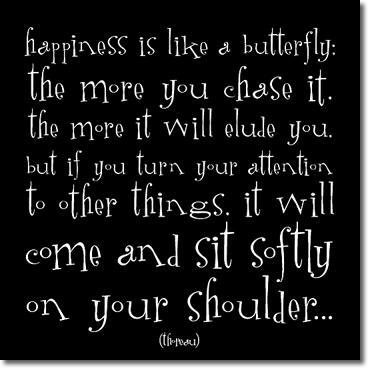 That butterfly came and sat on my shoulder yesterday. Almost threw out a whole chapter, thought I was wandering in the woods and then the light bulb went off. 18,589 words into NaNo and still having the time of my life. 'Bonne chance'to you my friend. Thanks for sharing the music and your awesome success at NaNo. I started out over my word counts, and the last few days have been tough. Looking forward to writing quite a bit this afternoon. Jon Paul said, Barbara–Video is different, but I gotta mix it up a little, right?! Congrats on your awesome NaNo progress! Tyrean–I hope things continue to track for you.